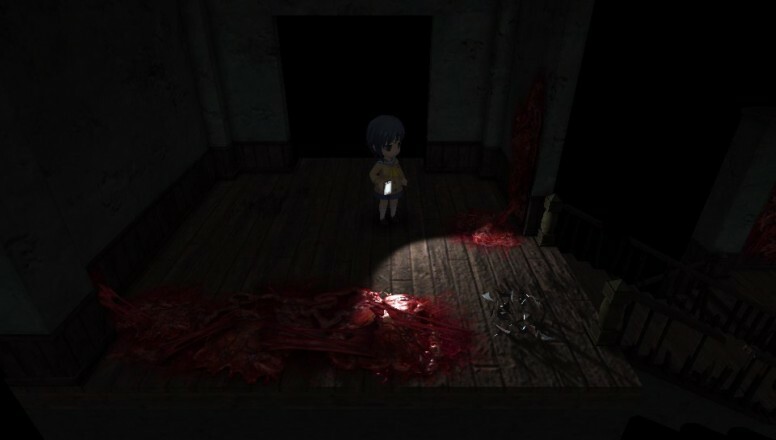 Corpse Party: Blood Drive is the third and last title in the Heavenly Host saga that the Corpse Party series has been entertaining us with for years. Some sequels can be played without playing the games that came before it, but that’s not how things are with Blood Drive. If you haven’t played Corpse Party and Corpse Party: Book of Shadows, Blood Drive probably won’t make any sense to you. Don’t worry though – they’re great games, and you can download them both on your PS Vita. Once you’ve played through them, you’re ready for the grand finale – Blood Drive. Though it has its highs and lows, it’s a fun experience and a fitting end to the saga. Blood Drive picks up two months after the events of Book of Shadows. I’m going to try avoid spoiling any of the Corpse Party games, so I’ll try to be vague. After the horrific black magic accident that ended Book of Shadows, Ayumi is grimly reminded of how many of her friends have fallen victim to the many evils of Heavenly Host Elementary. 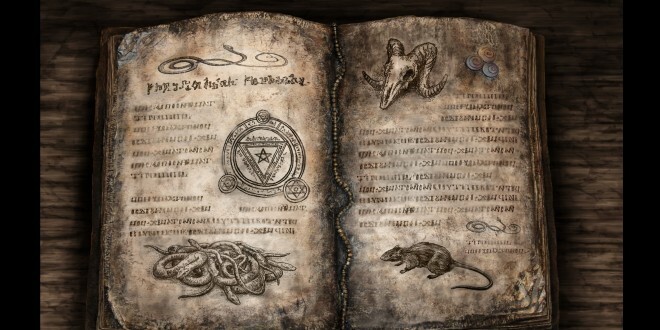 She finds out that, if she reclaims the Book of Shadows, she can revive all of those who perished at Heavenly Host. After Ayumi begins her quest, several other characters get involved, including Yoshiki, Naomi, and Satoshi – again, if you haven’t played the last two games, this probably doesn’t make any sense to you, but that’s okay. I really enjoyed my last trip into Heavenly Host, especially because a lot of things that didn’t make sense to me in Book of Shadows are a bit more clear now. As it was with the last sequel, we also learn more about how Heavenly Host actually works throughout Blood Drive‘s story. I think that the original Corpse Party had the best story, and I’m not sure whether I like the story of Book of Shadows or Blood Drive better. It doesn’t really matter, though – the story is dark and entertaining, and it’s definitely worth experiencing. Instead of the strict visual novel format of Book of Shadows, Blood Drive returns to the style of the original Corpse Party – you’ll see the world through a third-person perspective, and you’ll be able to control your character and investigate your environment. This makes Blood Drive a much more interactive and exciting experience than Book of Shadows. Instead of the overhead view of Corpse Party, Blood Drive is a fully 3D adventure, which provides for a deeper level of immersion into the game. 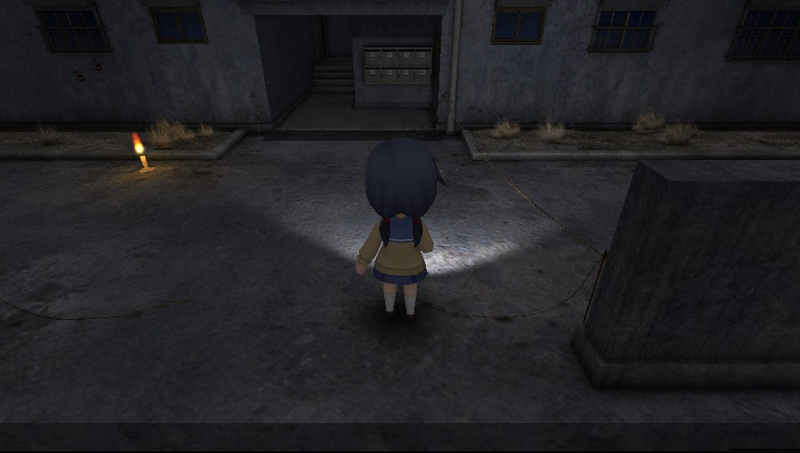 A flashlight and a stamina gauge are also a part of the game – elements from Corpse Party 2: Dead Patient (which hasn’t yet been released outside of Japan). 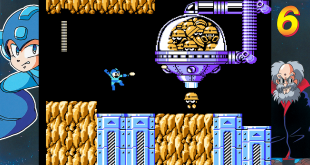 The flashlight is extremely useful, as much of the game takes place in almost complete darkness. You’ll have to be careful, though, because your flashlight can run out of batteries. During chases, this can be fatal. Speaking of chases, Blood Drive has the most intense chases in the series. The stamina gauge makes each chase much more intense, and you’ll be able to hide from your would-be assailants. If you’re not fast enough, though, they can see through your hiding spot and pull you away from safety (kind of like Outlast). Luckily, if you have a talisman, you can use it to fend off spirits that might try to attack you. The chases were some of my favorite moments in Blood Drive, and they managed to get my heart pumping despite my familiarity with both the series and with horror games in general. The Darkening also comes back in Blood Drive, which is a really awesome feature. If your character experiences a certain amount of trauma (e.g., observing dead bodies and dark objects multiple times, being in the presence of hostile spirits, etc. ), your darkening meter will go up. As your darkening meter gets close to being full, your screen will flash with static. If you manage to get your darkening meter to 100%, your character dies. It provides an additional threat to the spirits and traps that are hidden throughout the world. Don’t worry – it’s still possible to examine everything and not die of darkening. Blood Drive provides you with special dolls at certain progress points that will reset your darkening meter. Blood Drive takes the best of Corpse Party and Book of Shadows and tries its best to bring them together. It also adds some new elements, like being able to choose which character in your party you want to control. Though the gameplay is good, it still doesn’t play as smoothly as Corpse Party. It is, though, a really cool game and it has unique elements that make it special. The first thing you’ll notice about Blood Drive is the chibi art style. It might seem weird for a horror game to use such cutesy character models, but I think it works pretty well – and even if it’s not your favorite art style, it definitely won’t detract from the experience. Exploring Heavenly Host in 3D really allows for the highest level of immersion in the environment that I’ve seen in the series. I was really excited to be able to see everything from a perspective that wasn’t overhead or pre-set. The graphics aren’t the best I’ve seen on the PS Vita, but they’re good enough that they compliment the story-driven game while managing not to be too frustrating or distracting. The voice acting is really great, as it has been throughout the Corpse Party series. Each voice actor and actress really understands their character, and it shows in their performance. The score is decent. It adds to the ambience of Blood Drive, but it didn’t really stand out to me very much. There’s a lot to appreciate here – when broken apart, it’s hard to talk about the audio and the visuals. However, when put together, they make for a good horror / visual novel experience. Since Blood Drive is driven primarily by story, the replay value is relatively low for most players. If you really enjoy it, though, it can be a lot of fun to go through the game and try to see all of the scenes that the game has to offer – even the bad endings. In fact, collecting bad endings is the single biggest thing that drives replay value for Corpse Party games (at least for me). Though you might already know the story, you’ll probably see some things that you haven’t seen before on your second and third playthroughs. Corpse Party: Blood Drive is a good game. It brings a new art style, excellent voice acting, a thrilling story, and the best elements of the series together to create a finale that fans of the Heavenly Host saga are sure to be satisfied with. Though it fails to reach the heights of the first game, it is a worthy end to the first chapter of the Corpse Party story. Now, we just have to wait for Corpse Party 2 to make it outside of Japan. Blood Drive isn't perfect, and it certainly isn't the best Corpse Party game. It is a good one, though, and it proves to be a fitting end for the Heavenly Host saga. Previous Can Fallout 4’s upcoming DLC live up to previous Fallout DLCs?